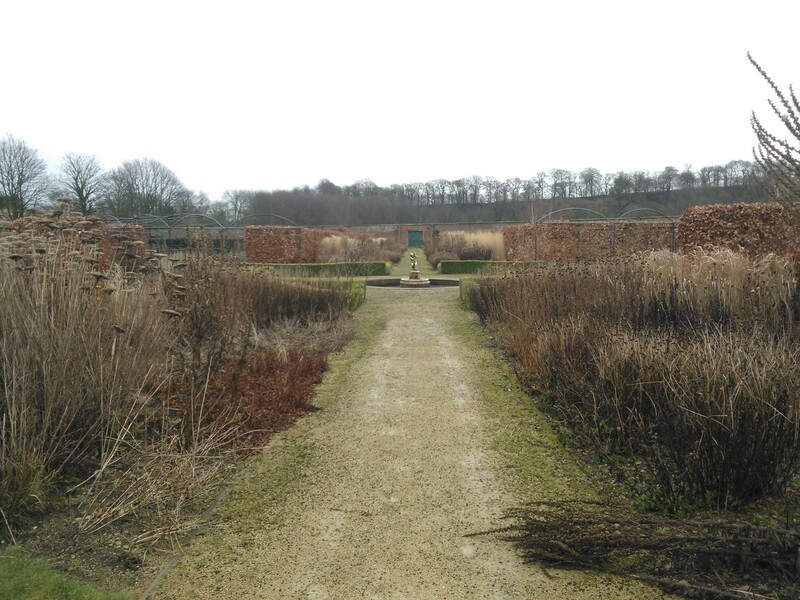 Last week I visited the horticultural therapy program at Helmsley Walled Garden in North Yorkshire. Helmsley is set within the North Yorkshire Moors National Park and approximately 15 miles east of Thirsk. The walled garden once served as the kitchen garden for the Duncombe Estate. The original kitchen garden was closer to the River Rye but after being flooded out was re-located to it’s current position. The garden was eventually abandoned in 1984 before the restoration began 10 years later to bring the garden back to life. At the same time Alison Ticehurst felt that the garden should be utilised for benefiting the local community and a healing garden and horticultural therapy project was pursued. 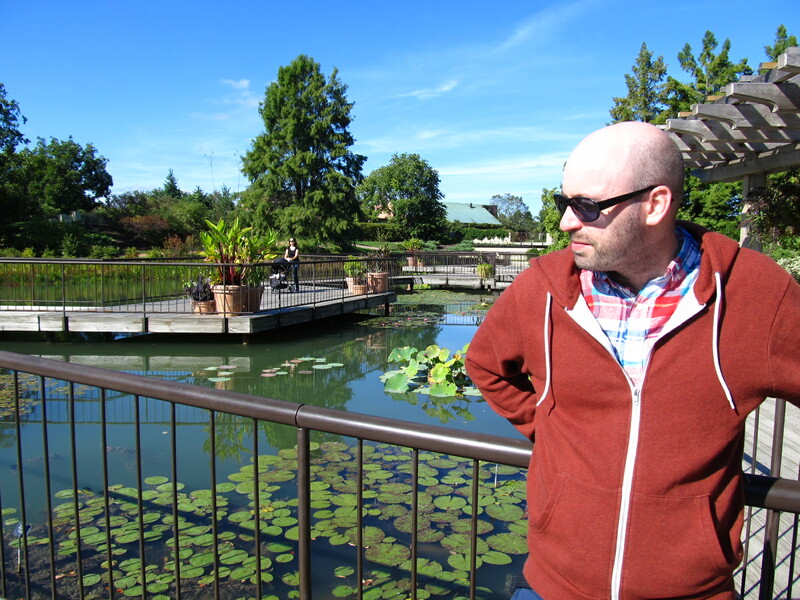 In 2014, the garden celebrates its 20 year anniversary. The horticultural therapy service uses the term ‘Supported Volunteer’ to describe people accessing its sessions. 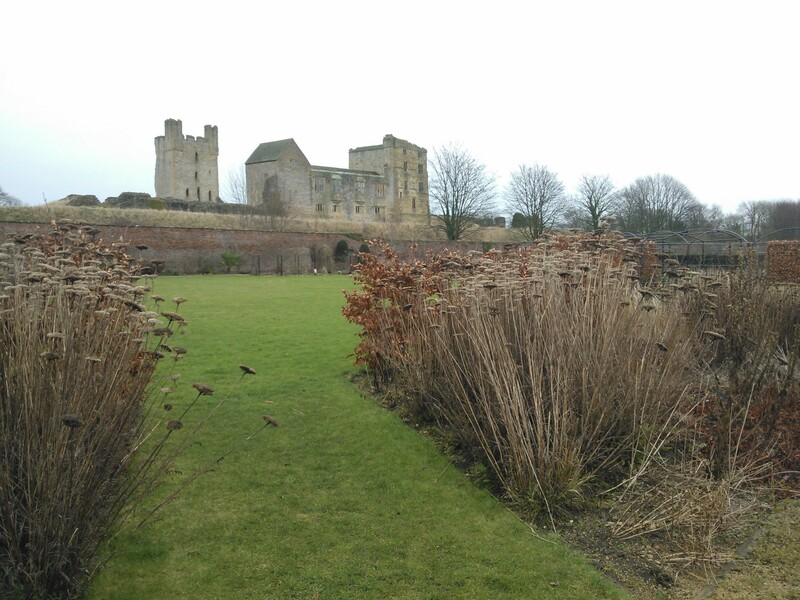 There are currently 20 Supported Volunteers and approximately 100 volunteers helping to run and maintain the garden. The Supported Volunteers are involved in all aspects of the garden, with particular focus on the production and sale of plants to the general public. It is not a service for a specific disability or condition, all are welcome. 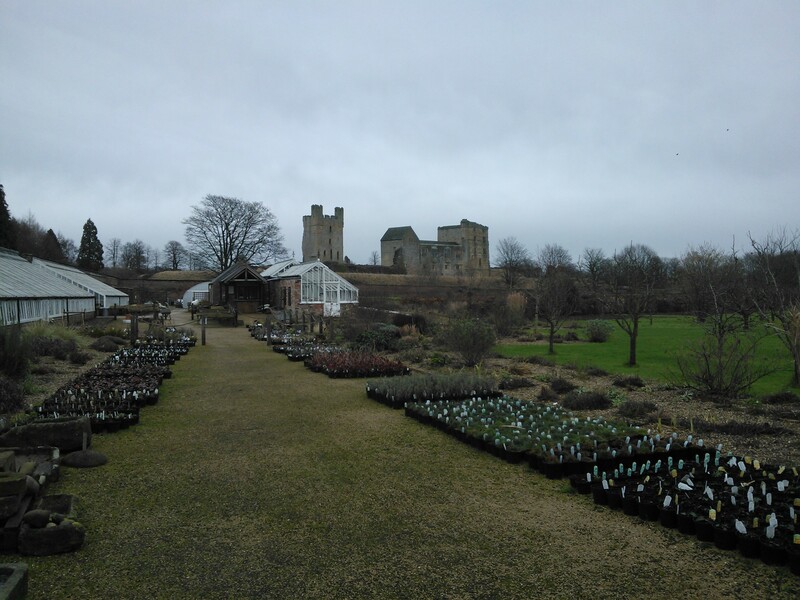 Helmsley Walled Garden does not charge for the service it provides for Supported Volunteers. The cost is covered by plant sales, entry to the garden (currently £5.50 for adults) and the on-site café. The service employs three part-time horticultural therapists and is run year round, with reduced hours over the winter months. On a personal level, I would dare to argue that such a great service which is open to a variety of people and in a fantastic settings should receive direct payment in line with other day services. I appreciate that is by no means as easy as writing that sentence. There are all the legal ramifications and obtaining ‘preferred supplier’ status with the local care authorities but I would be surprised if it does not offer a service in line with other services provided in the area. The manager highlighted a major concern for the future was that rural public transport is being considerably affected by the government spending cuts, which has reduced services in the area. 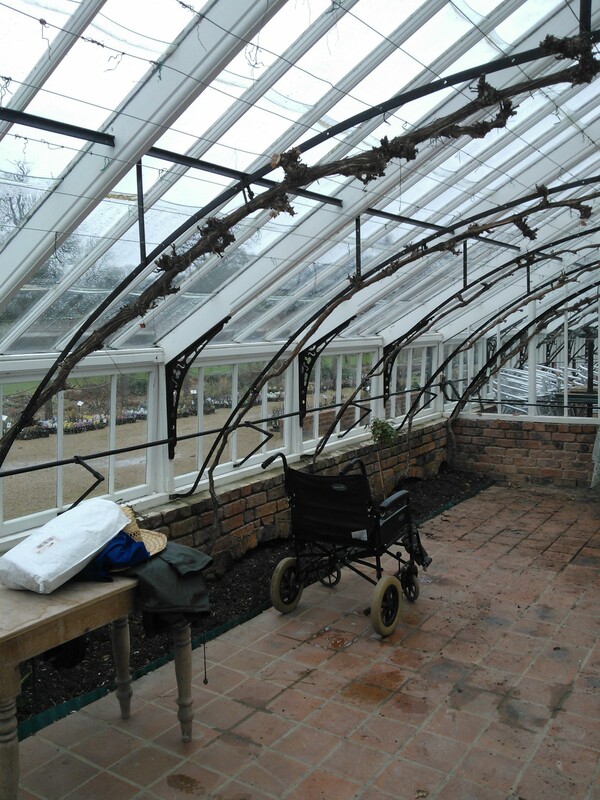 In the long term, this may hamper Supported Volunteers from being able to just get to the garden. The garden is open to the public from April 2014 and I thoroughly recommend a visit, if only to admire the long perennial borders and large array of trained fruit trees. There is of course a lot more to offer from a horticultural point of view, including the Victorian glasshouses, but you will be able to feel fulfilment that your entry fee and any subsequent spend it going to help run and worthwhile and excellent service for people in the local community. Thrive, the charity for social and therapeutic horticulture in the UK, offer a free e-newletter. I would recommend signing up for anyone with an interest or wanting to learn more about horticultural therapy. They also offer a specific e-newsletter on ‘Training and Education’ which focusses on sharing research, learning opportunities and practice tools for therapists. This is a relatively new addition and is worth examining further. To find out more information and to sign up for this newsletter please visit: http://www.thrive.org.uk/training-and-education.aspx On this link you will also find out information about the conferences and seminars that Thrive run each year, such as the Green Care White Care which takes place on Monday the 18th of November in London. The 2nd annual conference of the Association for Social and Therapeutic Horticulture Practitioners (ASTHP) is to be held at Askham Bryan, York on the 1st of November 2013. It will run from 9:30 to 4:00 with lunch included. The focus of this year’s conference is ‘Outcomes and Impacts’ with a range of speakers being arranged to address this important area of horticultural therapy. I attended the 1st conference in Pershore, Worcestershire last year and it was a very informative and educational event and if you are in two minds whether or not to attend this one I would urge you to do so, if you are a practising horticultural therapist or simply interested in the field. The cost is £40 for members, £50 for non-members and £30 for students. On Wednesday July the 10th at Ashmoleam Museum, Oxford a workshop is being held by Dr. Dan O’Brien on therapeutic horticulture. I have been kindly invited to speak alongside Dan O’Brien and Joe Sempik. My presentation will be about the practice of therapeutic horticulture in a health care setting. The event is free and open to everyone who wishes to attend. Tea, coffee and biscuits are even provided.